Coach Michael Duncan: Back and Better Than Ever! As we approach this upcoming basketball season, I had the opportunity to speak with Coach Michael Duncan regarding his thoughts on this year’s team. Last year, the season didn’t quite meet the expectations of Duncan and the team. Also, his mentality and goal for the squad remains positive as well as the team’s preparedness to get back into championship-caliber form are in full effect. Coach Duncan was utterly discouraged with the way his group of men lost to Sinclair Community College in the playoffs, but this season we should expect a different outcome playing with new additions to the lineup. At this time, Duncan highlights the majority of players are young, coachable and experienced. The team should come together with new key players such as Kash Blackwell and Rico Jones and their leadership on the court. This year Coach Duncan has a much better feel for the team. On Sunday, Oct. 11, the team marked its first scrimmage and the results turned out in their favor since they won all three games, and left the gym victorious. Coach Duncan mentioned that there are still some areas where the team could use some additional work; however, those flaws shouldn’t be much of a factor. The whole group seems to be on track. 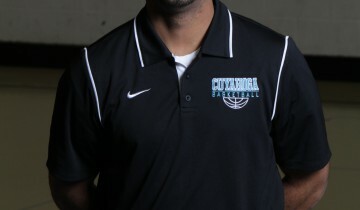 The three victories weren’t the only highlight for the Cuyahoga Challengers men’s basketball team. Coach Duncan had a chance to bring most of the players to watch Magic Johnson at the 2015 Presidential Luncheon. Duncan said, “It was a terrific. That was my first time ever hearing him talk. He definitely had powerful words.” Duncan and the team were able to soak in and appreciate the wise words from the five-time NBA champion. The team’s first game will be played on Oct. 30 in Chicago. Although a couple of players will be out the first half of the season, Duncan believes the team will be able to manage and are ready for this season’s obstacles.